I've been trying to find one of these "rarer" Speedmaster for awhile now, and it wasn't long ago, that a phone call from a fellow watch friend alerted me to this watch. It's not often that these watches come up, and I am very lucky to have the tip. 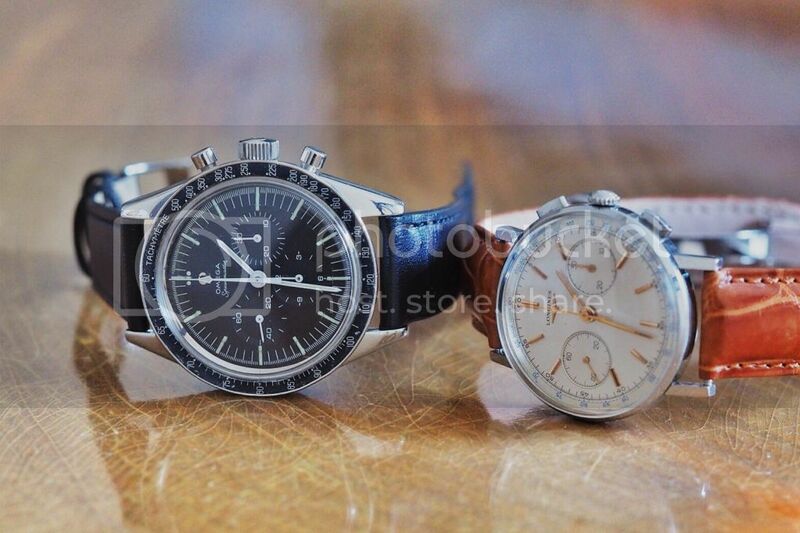 This is a Speedmaster ref 105002. The watch came from the original owner who bought it in Adelaide (Australia) back in the 60s. Apparently, never been serviced and lo and behold, after many years, the watch stopped. The watch spent much of its time in the drawer until it was found and traded. Apparently the hands couldn't be kept and hence the new luminova hands , but apart from that, the rest of the watch is original. Now that it's here, it'll be much harder for me to choose, the 105002 or the Longines 30CH! Next Topic: Major "conundrum", your help is appreciated.